With three games today, the NBA Playoff action is getting ready for the weekend and there were three big games last night, with the home-court advantage teams coming to the fore in all of the games. Cleveland now have a 3-0 lead in the series after their 95-103 win over the Celtics in Boston and history suggests that they will see this through to the end. After all, they now have 4 games to win 1 game if needs be, and you would expect the Cavaliers to have the series wrapped up before too long. The Chicago Bulls also have a 3-0 lead in the series but it took a double period of overtime to help them move beyond the Bucks, the final score ending up 106-113. Like the Cavs, the weight of history is now fully with the Chicago side, and you should expect to see them wrapping up the series before too long. The Golden State Warriors also lead their series 3-0 after this overtime win in New Orleans. The final score of 119-123 leaves the Warriors feeling confident of victory and there should be no doubt about their progression in the post-season. The Mavericks will be glad to be back in Dallas but there is very little else for them to be happy about. They have to face up to the fact that Chandler Parsons is out of the Playoffs, Rajon Rondo is unlikely to be seen in a Mavericks shirt again and unless they can grab a home win in Game 3 against the Rockets, their postseason could be one game away. The Mavericks announced that Rondo picked up a back injury on Tuesday night in the 111-99 loss away to Houston and it seems as though this is the last that’ll be seen of him in Mavericks colours with Dallas coach Rick Carlisle indicating that he won’t play for the team again. It was a gamble bringing Rondo to Dallas, and it looks as though it has failed spectacularly. The Celtics made a lot of progress after shipping Rondo out and even though both teams are likely to exit the NBA Playoffs at the same stage, it is the team from Boston who will be smiling at how things panned out. Even with all of these problems, Dallas know that they have a chance to haul themselves into the series here, but they need to start with this game. There is a strong home crowd in Dallas so there will be plenty of backing but the Rockets know that another strong performance will place them on the brink of qualification. The Rockets hold a 58-26 record so far this season and this includes a 26-15 record on the road and an 8-2 record in their last 10 games. The Mavericks are 50-34 with a 27-14 record at home and a 5-5 record in their last 10 games. With respect to average points for, the Mavericks lead 105.2 to 104.2 and for average points against, the Rockets lead 100.6 to 102.6. The bookmakers can’t split the teams so take the Mavericks at odds of 1.90 to win the game. Bet Now! The Wizards had a terrible run coming into the Playoffs but they are in the good form when it matters, holding a 2-0 lead over the Raptors. Game 23 is looming as a hugely important game and the Raptors will need to be better and brighter around the boards and in the middle of the games if they want to turn this tie around. The Toronto side had home-court advantage but the 2-0 lead that Washington brought back from Canada indicates that this sort of advantage means very little unless you are up for the battle. Kyle Lowry has been in poor form over the two games for the Raptors and his performance in Game 3 will have a lot to say on how the game pans out. There is a need for the Raptors to pull themselves together but with momentum sitting with the Wizards, this could be a series that is brought to a close before too long. When you take on board the fact that the Wizards lost 15 out of their final 19 away games of the regular season, and 9 from 11 trips to Toronto, the score line in the series so far stands at a bit of a shock and with the Wizards in good form at home, there could be tough times ahead for the Raptors. The Raptors are 49-35 for the season with a 22-19 record on the road and a 5-5 record in their last 10 games. 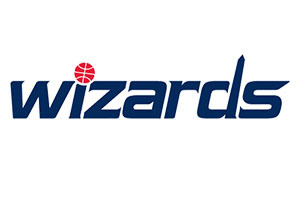 The Wizards are 48-36 for the season with a 29-12 record at home and a 7-3 record in their most recent 10 games. For average points scored, the Raptors lead 103.8 to 98.7 and for average points against, the Wizards lead 97.8 to 101.0. Taking the Washington Wizards to win with odds of 1.90 and a handicap of -4.5 makes sense. Bet Now! Tim Duncan may turn 39 on Saturday but he is expected to be a key player in this matchup for the Spurs who return home with the score sitting at 1-1. Duncan was the key man in the 107-111 overtime win for the Spurs, offering up 28 points and 11 rebounds for the reigning NBA Champions. Tony Parker may well play on Friday but he was badly hampered with an injury and this could have a big impact on how the series pans out. Patty Mills stood up and helped make a difference in Game 2 but whether he can be relied on for every game of the remaining series remains to be seen. The Clippers hold a 57-27 record this season which includes a 26-15 record on the road and an 8-2 record in their last 10 games. 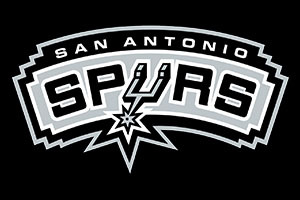 The Spurs have a 56-28 record this season and this contains a 33-8 record at home, while they also have an 8-2 record in their last 10 games. With respect to average points scored, the Clippers lead 106.7 to 103.1 and for average points against, the Spurs lead 97.2 to 100.2. This is the tightest of the NBA Playoff games and it is likely to be the one that people tune in for if they want plenty of drama and action. Taking the Spurs at -4, with odds of 1.90 isn’t a bad bet, but it all depends on how they respond to injuries and fatigue. This is a hard one to call, but sometimes that makes for the best basketball games. Bet Now!